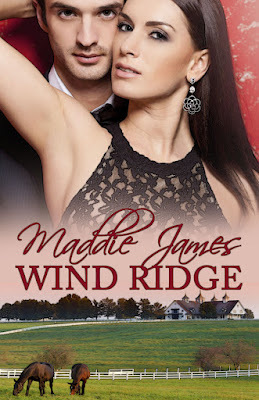 The Un-Official Blog of Romance Author Maddie James: Wind Ridge - Now on Pre-order at IBOOKS. My latest romantic suspense release! Exclusive Pre-order at ‪#‎ibooks‬. Official release date - March 28, 2016. Rebekah McCauley is back home after ten long years of living and working in New York City. She left the Big Apple under circumstances she’d rather not share with her family—not yet, anyway—and all she really wants is time to heal and recover from the mess she’d made of her life. Luckily, her grandparents’ Kentucky bluegrass farm, Wind Ridge, provides the safe haven she craves, and the solitude she needs to heal. Collin Kramer, the fox hunter next door, seems determined to infiltrate that peace and quiet, and invade that safe haven—not only with his noisy hounds running amok over her land, but with his Alpha male, take-charge attitude running roughshod over her wounded heart. But as Bekah softens to Collin’s conquest, he realizes his own toughened heart needs mending. And just when he thinks he has that conquered, as well, all hell breaks loose. Poisoned horses, gutted dogs, and a barn fire are only the beginning. When Bekah’s farmhouse burns to the ground too, they know someone means business. But who? And whose past, Bekah’s or Collin’s, has come back to haunt them?